Refrigerator & Accessories Products & Ideas | Find Refrigerator & Accessories In Online Shop | Chest Freezers, Ice Cream Maker Accessories, Commercial Refrigerators. The appliances which you choose for your home have a great impact on your quality of life. Living in a home with broken and poorly designed appliances or rundown appliances reduces the efficiency of the work leaving you feeling agitated afterward. As one of the largest appliances of the home, the refrigerator is considered as a basic necessity, especially by young consumers. 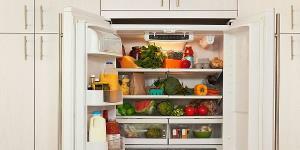 With the proper amount of care and maintenance refrigerators can last for a long period of time for almost 15 years or probably even more than that. Before you think about buying a fridge you need to consider many variables like: How is your lifestyle? What do you eat? How often do you do your grocery shopping? And how many people are you feeding? Only after considering all your needs and requirements along with the available space that you have should you decide which refrigerator to purchase.